Don’t be afraid to open your mind. Your brain isn’t going to fall out. My normal morning starts with yoga, a bit of writing and some meditation, but yesterday I woke up antsy, my mind already overstuffed and anxious, with a strong urge to get outside to try to clear my head before the day heated up. The air was cool. The sky lovely early morning shades of blue. As I walked, my tension drained away. Or so I thought. A couple I didn’t recognize and their dog walked toward me from the other direction of the country road. I skirted into the grass beside the pavement to give them room but still their dog headed right for me. The man said to me, “Nosy Nellie, she just wants a sniff,” while letting the leash extend and the dog run up to me. That quick, I was put out and annoyed. That quick my mind was fuming: Why don’t dog owners realize you don’t have the same relationship with their dogs that they do? This week, without any obvious or good reason, I was discouraged. I’ve been feeling that I’ve not done enough while simultaneously overwhelmed and with no ambition or energy to do more. Meanwhile, my friends are expressing their enthusiasm about their lives and their interests. Their measurable successes and delights are lighting them up. I was trying not to, but nonetheless feeling like my life was a dim bulb. I dug out negative patches in my mental garden, but the weedy thoughts have been on a growth spurt. For each one I pulled, two more shot vigorously up. But a number of unspectacular things happened this week that helped me. My husband quietly accepted and cared for me despite my moods. This heartened me. 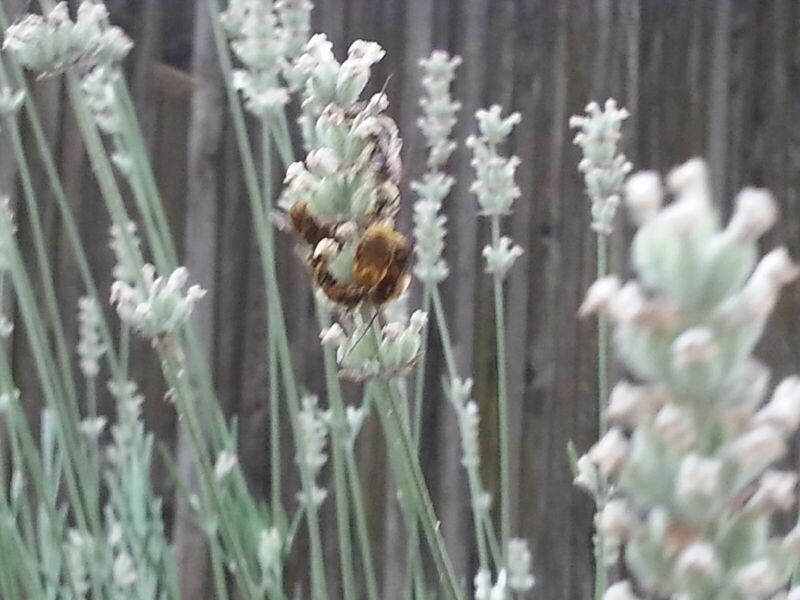 A friend shared her discovery that bees, enchanting little teddy bears, are nestling into the spires of her white lavender to bed down for the night amongst the scented linens of her garden. This image brought a smile to my lips repeatedly. And, then, there was that nosey dog. Because, trailing behind the dog and the man, just as my annoyance was ramping up into the righteous realm, came the woman. She would not be considered attractive in our world, but the delight of being out with her man and her dog on a perfect summer morning radiated from the broad gleam of her irregular smile, shone like a beautiful beacon of ecstasy from her entire being. Facing her beatific glow, there was no arguing against life’s inherent and simple goodness. My annoyance dropped away like the sad, useless thing it was. Walking the rest of the way home, I wondered if I’d been called out that morning so I could encounter that dog, and then that woman who reminded me that joy or satisfaction can be this close, right outside our door, right under our nose, right on the paths we traverse regularly. When we are willing to be open, to let the wheel turn, to embrace a change in perspective, we can add to. The woman and I passed one another, a big surprised smile cracking open my face and widening the one on her own. Little things can be enough when we’re available to receive the gifts of life, that like bees in lavender, are bedded into the world around us, eager to sprout from within us. 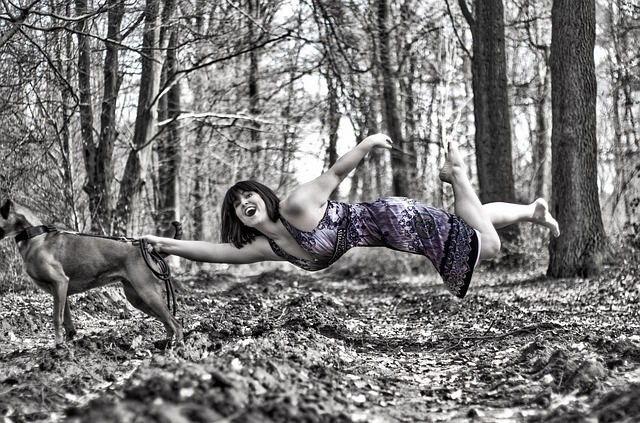 This entry was posted in Courage, Finding Enough, Joy, Mindfulness and tagged dog, open mind, Walk. Bookmark the permalink. Lisa you have really touched some points I need to remember when I find myself in a funk. It is the little things that always bring me around. Thanks for reminding me. Little things have amazing power over us sometimes, don’t they? I think reminding ourselves that we are not alone, everyone gets discouraged, and caring for ourselves by noticing and being grateful for the things we value can help us find our way into being the person we want to be. I appreciate your comment, Kate!